*Missed out on tickets? A 9pm show has been added! 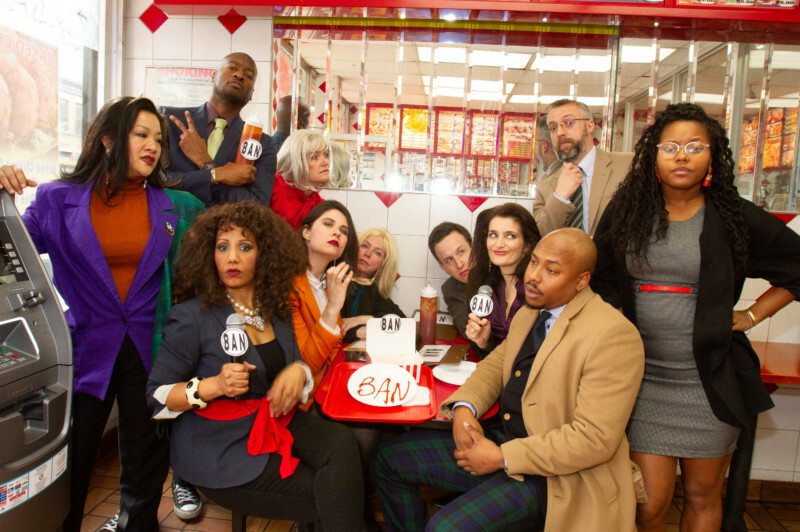 American Candy, the sketch comedy show that always sells out, brings its signature smart-and-juicy brand of comedy back to our stage for Brooklyn Action News — a special news satire show that’s sure to please. Think the The Daily Show meets Portlandia. Except set in in Brooklyn with mostly Black people. Created by Hollie Harper, American Candy celebrates the red, white and those-with-hue through smart and edgy sketch and musical comedy. Their combination of progressivism, social commentary and unabashed adulthood has captured a loyal fan base for four dozen sold-out shows. The sketch gang is a hilariously talented crew that creates a full narrative theme for every show. Harper is the show’s executive producer with Megan O’Leary, Stephanie Bok, Wilkie Cornelius Jr. Keith Sage-EL and Mark Sasahara on the producing and creative team.